I found this creative little montage on iBored.com. 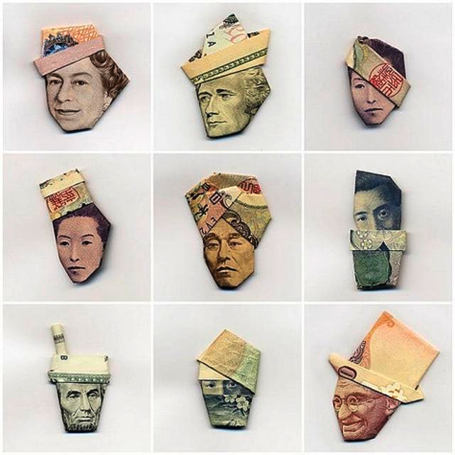 I love that not only are the hats made from the currency, they’re also indicative of their cultures. This would work wonderfully for a number of ad campaigns and editorial pieces. Does anyone know the source/artist? Well shoot. That’s just so cool that I’m gonna have to steal it. Particularly the Ghandi top hat number.